In 1887 it was raised and placed in a place of honour in Kiel naval Academy. The setback did not discourage Bauer, who began to pester naval authorities of Austria-Hungary, USA, Faction. England. In 1853 he showed up in Russia, where at public expense, built a boat (7), subsequently sank in the Gulf of Finland. While in the United States, Russia and France, the first submarines were created with the participation and under the supervision of the naval authorities in England the development of submarine Affairs was entirely in the hands of private individuals. So, in 1878 the Liverpool inventor Garrett built a four-meter submarine with manual transmission. Encouraged by the success of the first test it for the next year he built a second boat — “Resurgam” (17), length 15 m and diameter 1.5 m.
An interesting feature “Resurgam” was the power plant. It consisted of a steam engine and boiler, with a pressure of 10 ATM. Before diving, the pressure raised to the limit and tightly closed the furnace and the chimney. For the consumption of the steam pressure in the boiler falls, the waters continued to sing through the stored in it heat. Moving in this way, the ship could pass under water for about 20 km. “Resurgam” sank in 1880 during the test. But shortly before his death on the test happened to be the Swedish inventor of weapons Nordenfelt, who invited Garrett to work together. The result of this collaboration was the first submarine Nordenfelt (18) with a length of 19.5 m and a displacement of 60 tons, It had a powerplant that is not fundamentally different from plants “Resurgam”, although it contained some important improvements. 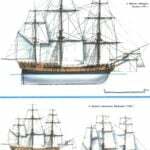 Thus, in the fore and aft parts of the hull were two tanks of high pressure, in which during surface progress stocked superheated in the boiler water. The total amount of energy in the boiler and tanks should have been enough for 25-cytometry underwater passage. On the surface cruising range was 280 km at a speed of 9 knots. 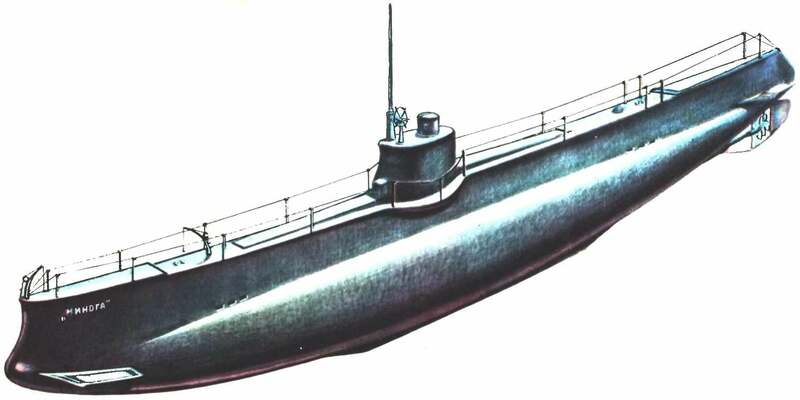 In the history of the submarine “Lamprey” was included as the first submarine with diesel engines. Among other innovations on the “Lamprey” was tubular torpedo tubes, reversible motors, a propeller. The disadvantages of the boat should include a small seaworthiness, which is particularly affected in stormy weather. 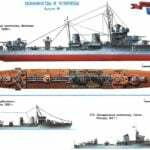 By the beginning of the first world war “Lamprey” was one of the best boats of the Russian Baltic fleet. In the autumn of 1918 by order of Lenin, she was sent along with “Mackerel” in Astrakhan Later arrived “Perch” and “the Whale” — these four boats made up the division of the Caspian flotilla. Nordenfjeldske the boat unit is lighter than water. To take and maneuver in the vertical plane she was assisted by two continuously operating vertical propellers located on the sides in the Central part of the body. In case of refusal, the boat automatically had to rise to the surface. The armament of the boat — the torpedo Whitehead, Mina and operated rapid-fire gun system Nordenfelt. 21-25 September 1885 boat was exhibited at the Karlskrona naval attache in almost all States. Although this demonstration was hardly a success, the boat rushed to buy Greece. At the same time with Garrett and Nordenfelt on the construction of a submarine in England, worked two engineer Campbeli and Ash. Their “Nautilus” (19) — purely electric submarine with a length of 18 m and a displacement of 50 tons was the world’s first twin-screw submarine boat. Dive gear-the ascent of the Nautilus had eight cylinders with pistons, pushing and ndwiga that with mechanical drive it was possible to change the underwater volume of the boat. Her armament consisted of two deck torpedo tubes. To attack the enemy, two divers had to go through the airlock to the deck and make shots. “Nautilus” was tested on the Thames, but the unreliability of the action of the cylinders with the pistons zabavushka with silt and mud, prompted the Admiralty to withdraw from the purchase of the ship. Not found practical application and another project at the time — a submarine of the Spanish captain Peral (20). It was a fairly perfect at the time the ship is 21 m long and with an underwater displacement of 87 so the Two screws operated by motors with a capacity of 30 HP each and were told the boat underwater speed of 8 knots. The cruising range underwater was supposed to be about 800 km. the Gun — boats torpedo tubes for firing torpedoes Schwarzkopf.